When you become disabled, it can be a very stressful time in your life. There are many questions and unknowns when you have to transition out of the workforce due to medical issues. 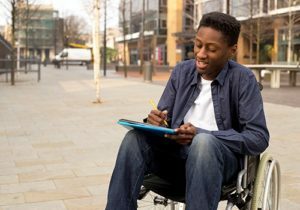 While an employer may offer short or long-term disability, most people faced with a disability will file for benefits with Social Security. You can view a disability starter kit at: www.socialsecurity.gov/disability/disability_starter_kits.htm.